It was a busy weekend, but I did manage to make some headway in the to-read pile. Eden: It’s an Endless World! Volume 12, written and illustrated by Hiroki Endo (Dark Horse): Someone recently made the argument on Twitter that, for a manga series to be any good, you have to be able to pick up any given volume and understand what’s going on. I think accessibility is an admirable quality, but to say that it’s an essential virtue is to say that books like Eden aren’t any good, and I simply can’t agree with that. Given the length of time between new volumes, I can’t even always remember everything that’s happened from one installment to the next. Since I love the series, it gives me an excuse to check back with previous volumes before reading the new one, and that’s hardly a bad thing. And since it’s a densely written science fiction with complex geopolitical undertones, it would be gruesomely dull if Endo had to resort to exposition instead of trusting the intelligence of his audience to remember the really important stuff. I would never recommend that anyone start the series with the 12th volume, but I would certainly suggest that they pick up the first to see what they think and decide if they’d like to stick with it. I will note that the 12th volume is more lighthearted than average and features equal opportunity fan-service. There’s still a daunting body count, but there’s also some actual whimsy. 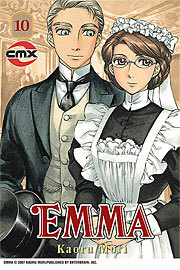 Emma Volume 10, written and illustrated by Kaoru Mori (CMX): It’s the final volume of this beautiful series about the class-crossed romance between a young maid and a wealthy young man. As always, period details and emotional nuances are observed with minute precision, and the overall effect is manga bliss. I’m going to miss the Emma-verse terribly, particularly hunky, ridiculous Hakim. And I’m not ashamed to admit that the Kelly Stowner shout-outs made me all misty-eyed. Will someone please license Otoyomegatari so I can keep getting my Mori fix? Ikigami: The Ultimate Limit Volume 3, written and illustrated by Motoro Mase (Viz): I enjoy this series about an insidious government program designed to teach citizens the value of life by randomly killing a handful of them, but I have to confess to some confusion about what pushes it over into the lofty realm of the sélection officielle. It’s really good, episodic genre entertainment, but that doesn’t necessarily track with my perceptions of what Angouême tries to recognize. (I confess I could be misguided in my perceptions.) That said, this volume features my favorite segment so far. It features an ambitious politician and her neglected son, and it achieves levels of cynicism I would have found implausible had I not witnessed the ascendance of Sarah Palin. I’m still hoping that a subplot emerges about the blanket immorality of the program that drives the plot, but Mase is a solid, sometimes inspired storyteller overall. It’s the manga equivalent of a consistently entertaining hour-long cable drama. 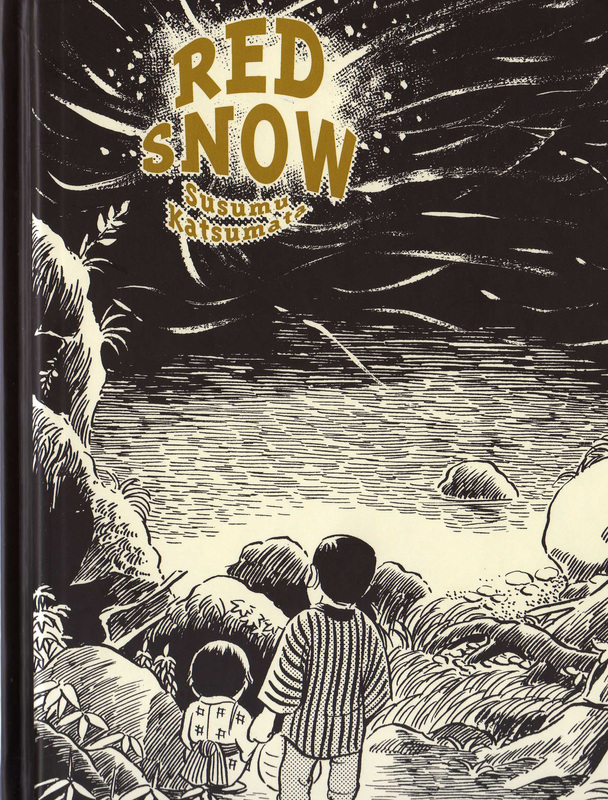 You are currently browsing the The Manga Curmudgeon blog archives for the day Monday, December 7th, 2009.